Something else worth trying, if you haven't already, is the new vegan menu at Zizzi. 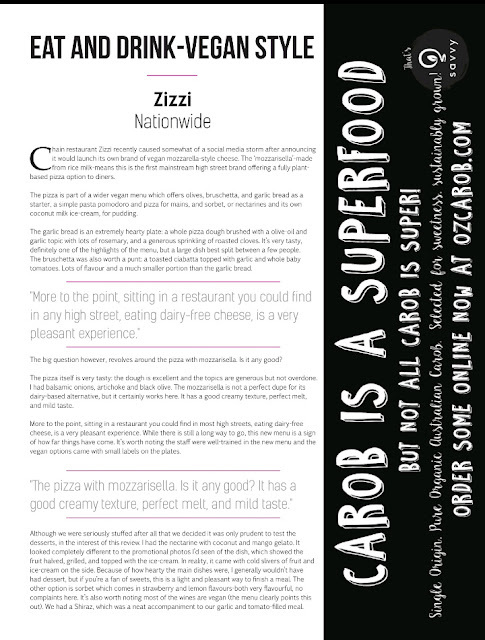 I shared my pleasure at the Zizzi additions when they came out, and the magazine included a great summary of the new dishes. In addition to vegan cheese that can go on any pizza option, Zizzi have new sorbets that are dairy free and an easy-to-follow summary of which sides are vegan friendly. 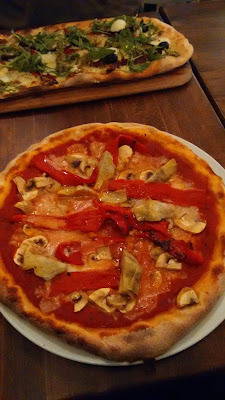 I've tried the rice milk cheese on a pizza with peppers, artichokes and mushrooms (pictured below). As we know, I'm happy with cheese-free pizza and not a big cheese / cheese substitute fan. However, I liked this. The cheese is runnier than my memory of regular dairy varieties, but a big win for vegans who miss cheesy pizzas. 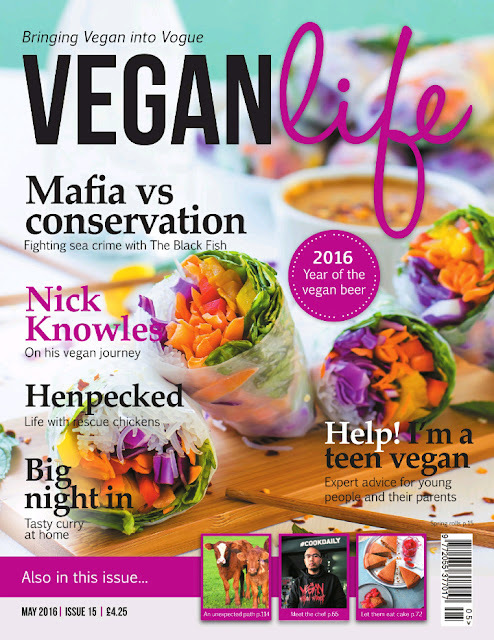 As always, a highlight of the magazine was the 'accidental vegan' page. I know about the butternut squash soup option, but not the elderflower jelly of ginger crinkle cookies. 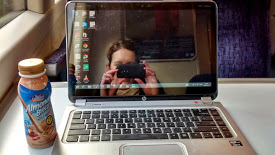 Both things for me to look out for now! What product discoveries are you enjoying this month? That chocolate slice looks like a winner! I'm a real lover of rice paper rolls too, I love that you can mix up the fillings and create different flavour combos. Thanks Johanna. Unusually for me, I like having this as a digital version as it means I read it on the train where I otherwise wouldn't...otherwise I very much relate to magazines being more holiday fare. I had my first summer rolls for ages on Saturday, and I was very happy to do! 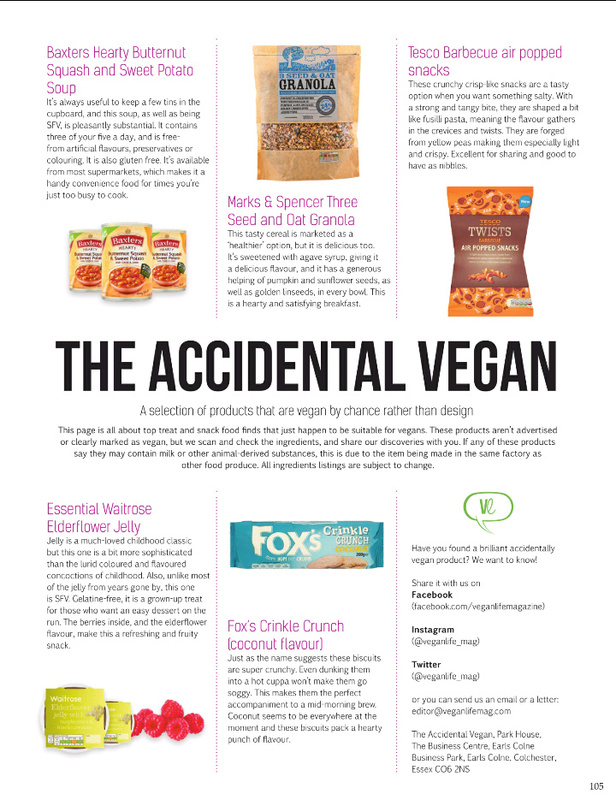 I love the accidentally vegan stuff - it's always handy to know of new supermarket staples. 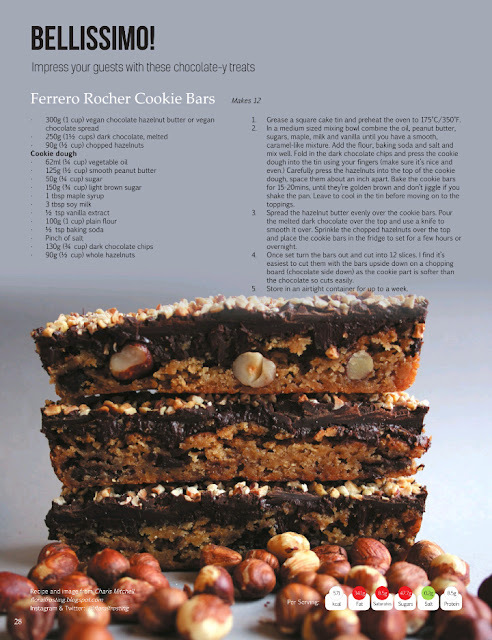 The Ferrero Rocher recipe looks really good! 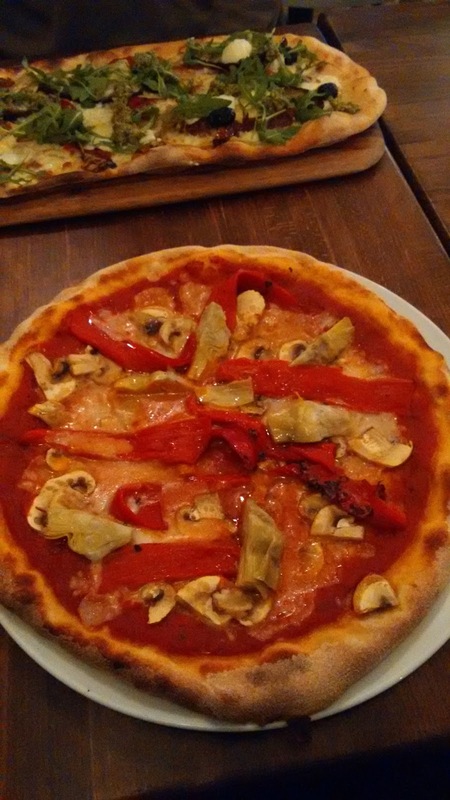 "on a pizza with peppers, artichokes and mushrooms" Ha - that is my favourite way to make pizza =) I haven't come across this type of vegan cheese, hopefully I'll see it soon! Those Ferraro Rocher Cookie Bars look insane!